Moncler logo badge at edge. For in-store inquiries, use sku #279050. 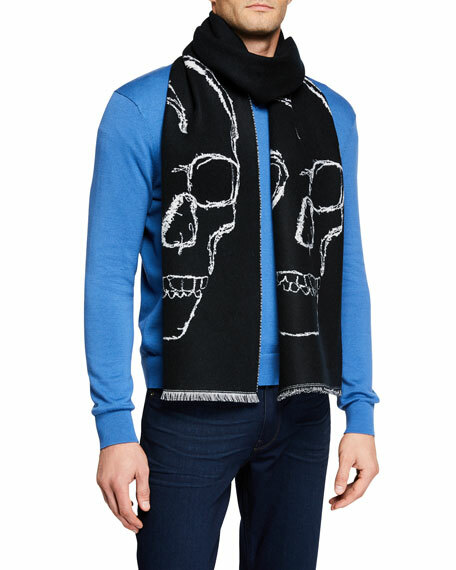 Alexander McQueen scarf featuring contrast darned skull. Fringed edges. Rectangle shape. 30"W X 220"H. Wool/cashmere. Made in Italy. Exclusively ours. 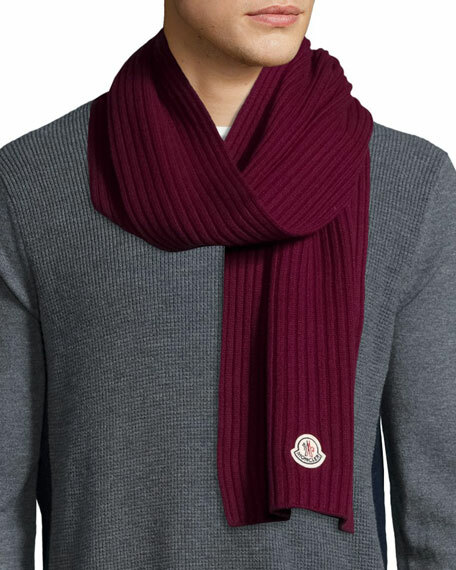 Begg & Co. "Arran Hildasay" cashmere square-pattern scarf. Purled fringe ends. Approx. 72"L x 14"W. Dry clean. Made in Scotland. 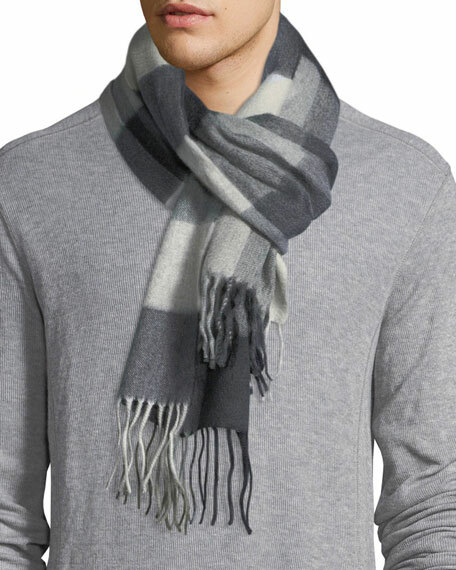 Etro men's scarf in diamond-pattern cashmere. Approx. 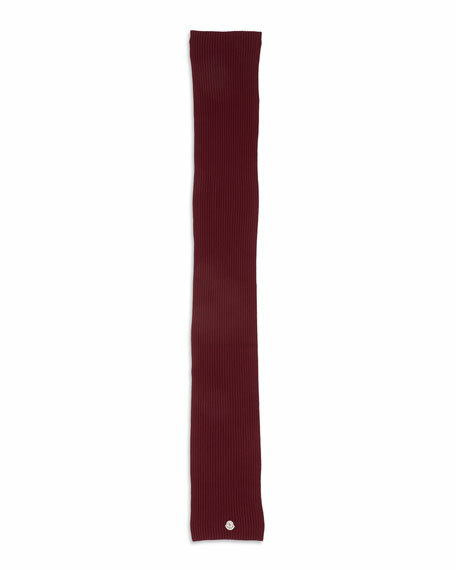 67"L x 27"W (170 x 70cm). May be styled multiple ways. Eyelash fringe ends. Dry clean. Made in Italy. 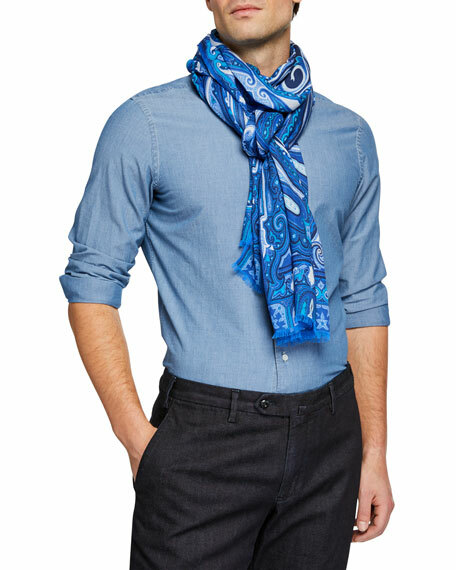 Etro men's scarf in signature paisley print. Approx. 78"L x 27.5"W. May be styled multiple ways. Eyelash fringe ends. 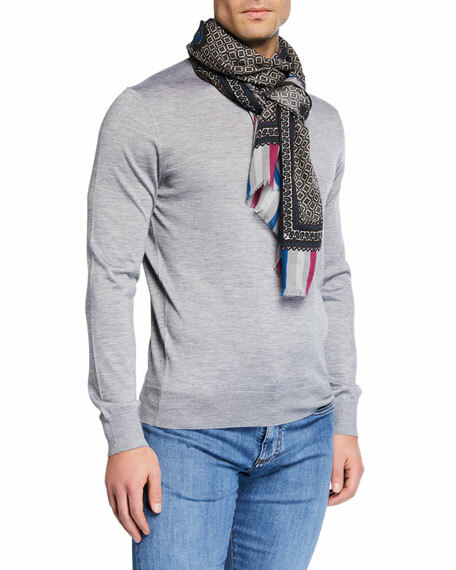 Modal/cashmere. Made in Italy.